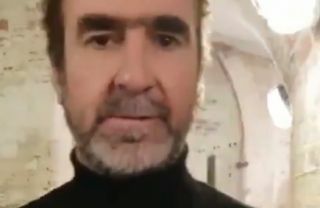 Manchester United legend Eric Cantona seems to be predicting a win for his old club against Paris Saint-Germain tonight…we think. Watch this video message from the eccentric Frenchman below, as he says tonight Man Utd will ‘eat’ the Parisians. We assume this means a win and not some kind of anticipation of actual cannibalism going on on the Old Trafford pitch – good thing Luis Suarez isn’t involved eh? Cantona remains one of United’s most-loved former players after a great career in the Premier League, and it is quotes like these that have also helped to make him such a legend of the game.